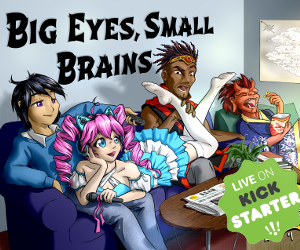 Home Headlines Ho dog brothers, Conan the Mercenary releases! Ho dog brothers, Conan the Mercenary releases! Today we’re really pleased to announce the release of Conan the Mercenary in PDF, a brand new supplement for the Conan: Adventures in an Age Undreamed of roleplaying game. Written by Chris Lites and illustrated with an amazing cover by Liam Sharpe, as well as some sumptuous interior art from our Conan team, Conan the Mercenary is available on Modiphius.net and DriveThruRPG.com. Here’s the details of what you’ll find inside. The Hyborian Age is a time of incessant war. The armies of kings and queens cannot master the battlefield alone, and the task is left to those sell-swords who trade blood for coin. In Conan the Mercenary, the battlefields are yours to kill for, and to die on. Join legendary mercenary companies, support revolts, or fight for the throne. It matters not the motive for war – gold is the wage for your blade. The jeweled thrones of the Earth tremble when mercenaries mass against them, and citizens pray to their gods when those selfsame killers are out of work and turn to banditry. In this age, the records of war and battle are mankind’s only testament, and names are written on the annals of history in blood. Learn the ways of the mercenary – sieges, battles… victories, as well as defeats – and the time spent carousing between. Developed with leading Conan scholars, this is war as Howard depicted it – savage, unforgiving, and heaped in both gore and glory! 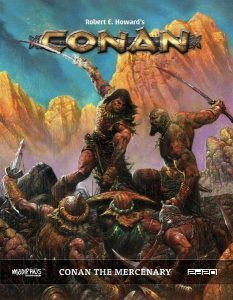 We hope you enjoy this latest Conan release and look out for more great Conan books, supplements and accessories, coming soon!